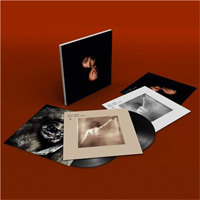 Appropriately timed with Kate Bush’s 60th year, the renowned English singer-songwriter’s discography has been remastered and pressed to vinyl for the very first time. This definitive collection serves as a perfect entry point to the iconic artist, or perhaps an opportunity to revisit her classic albums. Across Bush’s 33-year career you can experience her stunning debut The Kick Inside (1978, featuring Wuthering Heights), the highly conceptual Hounds of Love (1985, featuring Running Up That Hill and Cloudbusting) and her powerful sixth record The Sensual World (1989, featuring Deeper Understanding). This remastered collection is not only a overdue nod to an illustrious career, but an essential part of the contemporary music canon – for there will only ever be one Kate Bush. 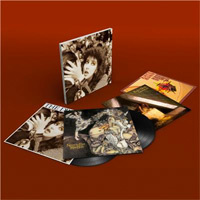 Kate Bush’s remastered albums (The Kick Inside, Lionheart, Never for Ever, The Dreaming, Hounds of Love, The Sensual World, The Red Shoes, Aerial, Director’s Cut, 50 Words For Snow) are out now via Warner.